One of the first questions that I wanted to explore during our #DrinkMontsant media trip to D.O. 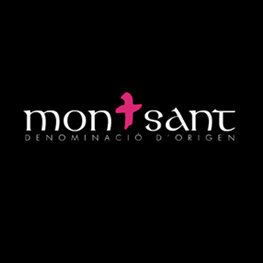 Montsant was about the people behind this great #wine region: what drives them to make their wine in this sparsely populated appellation? Well, I didn’t have to wait long, indeed, that question was answered during our first morning stop of our first full day. It goes beyond merely a passion for creating the wine that defines this DO, in fact it is an on-going effort by both young and old, to preserve their land, vines, villages and Catalunyan way of life. The wine is their saving grace and they are the creators of that beautiful grace. It is a magnificent (and delicious) circle of life. 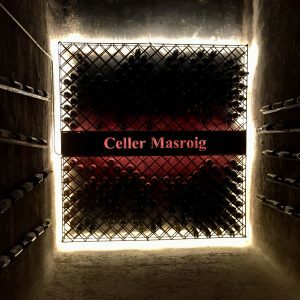 That first stop was the cooperative winery, Celler Masroig, in the tiny village of El Masroig. It’s an innovative take on the cooperative approach to winemaking, so popular in Europe. All members of the coop are also partners in what is now a private business (normally they would just be guaranteed to be able to sell their wine to the coop, without partnership). We were hosted by Eulàlia Roca, born and raised in Masroig, she came back to help run what she calls the “family business”. 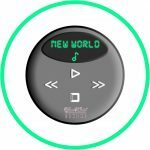 She describes the winery as “the engine of the village” and you can see why; the celler is the only business in this ancient village of 500 inhabitants and virtually everyone in the village either is a partner, winegrower or works at the winery, itself. It was that moment when I realized that they make the wine, but it is also the wine that makes them; that beautiful circle, come to life. Their wines reflect that all-consuming dedication to their craft and their way of life, showing the structure, freshness and great food-centric acidity of the carinyena (carginan), alongside the deeper and rounder fruit from the garnatxa (grenache) and garnatxa blanca. From there we moved on to one of the vino highlights of the trip for me, Coca i Fitó. 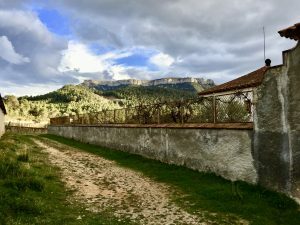 Just a short, but gorgeous walk up the village’s hill from the previous celler, CiF is owned and run by two brothers, Toni and Miquel Coca i Fitó. Miquel hosted us and gave us a tour through the multistory, old building that now houses their winemaking efforts and cellar space. Miquel has had quite an awesome life, having been a prominent chef for many years (including a stint at the legendary El Bulli), and he also told a familiar story we would hear for the rest of the trip: family and need to get back to his roots drove him to form the winery with his brother as the winemaker. He led us through seven wines and each of them were good to fantastic. 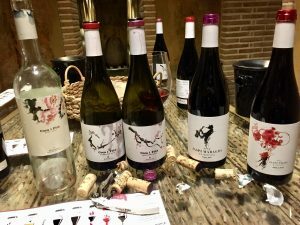 Unfortunately, I can only feature a couple below, their delicious (though pricey) 2016 Rosa (rosé) of 100% syrah, and the 2011 Negre blend of syrah, carinyena and garnatxa. 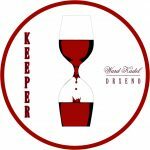 The 2011 was still so fresh, I had to give it a #KeeperWK #WKbadge…I would love to try that wine once it has 3-4 more years of age. It was an additional pleasure to be seated across from Miquel during our lunch at Restaurant Quinoa, a few hours later. 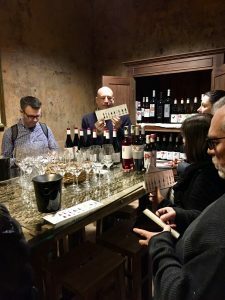 Following the remarkable wines of Coca i Fitó, we headed off to further tastings and lunch. 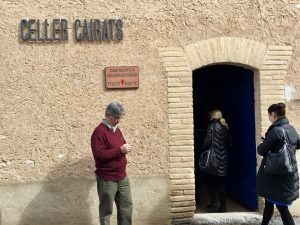 Celler Cairats was next, where the absolute fastidiousness of owner Ramon Masip, along with the labor and support of wife and son brought us further proof of the detailed care of the vintners. Cairats goal is to provide an anchor for their tiny village of Darmós and to fully incorporate the most sustainable, organic practices possible in their vineyards, winery and even their home. 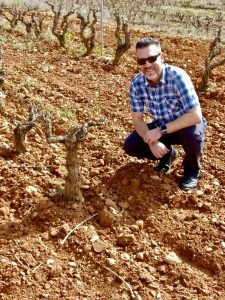 This dedication to fully sustainable, clean living and working, and determination to support their village was further reinforced by Jaume Giral, the somewhat maverick owner of Celler Ronadelles. His three properties in the village of Cornudella de Montsant are testament to his determination to stay local and produce local, rather than transport everything elsewhere to single larger building. Our last visit before a phenomenal dinner back at our hotel, Hostal Sport, was with Xavi Peñas, at his palatial estate for this region and outside of the villages, Cellers Sant Rafel. Tucked into its own little valley, against the mountains of this region, their a great example of the ancient stone-walled practice of vineyard terracing (marges) along the steep mountain slopes. It is also one of the closest estates to the sea within the DO. It was here that we tasted through his selection of back vintages and current releases. 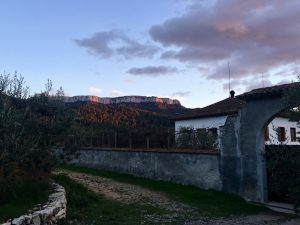 We went into his cellar with the sun still just above the mountain tops, and when we finishedwe were treated to a spectacular sunset splashing red, pink and orange across the naked stone Serra de Montsant cliff-face. It was a perfect template of colors and natural canvas to finish off our first full day tasting wines colored the same shades. This trip was a fully paid media trip, courtesy of DO Montsant. Check out the first post in this series for further background of this distinctive wine region. 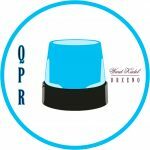 ¡Salud! Color: Darker garnet here, with lighter garnet edges. Nose: Super meaty and leathery here, with earthier red fruit. Palate: Cool mouth to start off and fruitier than expected, then mixed cherry flavors come in with great acidity. Coating, smooth tannin and fuller mouthfeel take into the good long finish. P: Medium full here with very bright acidity, but also nicely creamier feel from battonage, toasted lemon medley here, also with some nice spicy notes towards the end. Good. * N Deeper red cherry fruit here, delving into fresh pie, with air, more of that pie crust aroma, also some black fruit underneath, good and deep. * P Bigger and round and smooth here, with deep black and Bing cherry fruit, medium smooth tannin, some of that toasted pie crust towards the dark and juicy finish, quite good and would be interesting in about 4yrs to see how it ages. P Very juicy great acid here, light bodied and some slight smoothness, Very tart finish of blood orange as well, good and fresh. * N Earthier notes here, but then deep depths of black fruit as well with black plum near rim. N A little earthier red fruit here, with darker red fruit, some spice here as well, along with darker toast. Deep cherry. P More structured here, with medium to full weight, tannin is more coating here and the fruit takes a darker note. That great acidity is still here but more integrated and less bright than the 2015 above. Integrating toast into the long, more dark red fruited finish, light earthiness. * N Meaty flinty, earthy here, almost all savory, with deep black fruit underneath. * P Full and structured here, with all of the good savory notes from the nose, but also good black fruit in the mid palate. Good acidity here to balance, with a long black fruit and leather finish. Good and unique flavor profile so far. Brett here and the nose, but is balanced and complementary. * C Brick core medium intensity, light brick edges. * P Very good and round here with black and red baked fruit, pie crust, great acidity to keep it fresh. Drier tannin but still comes off with good life and quite good right now. * N Deeper lack cherry here, with some light toasty notes and pie crust. * N fresh plum here, with some light French toast, the. With air some juicy cherry comes in.